The photo shows the preparation of the crowning of the Tilbury & Chadwell Carnival Queen who was Rita Dunn and she was only 15 years old. Rita Dunn lived in Calcutta road, Tilbury. 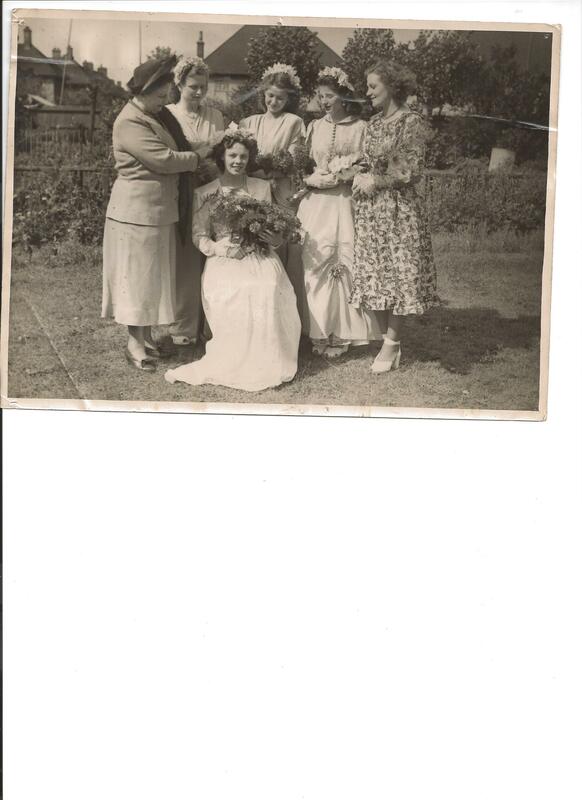 The lady who is on the far left was the 1939 Carnival Queen. This was the first carnival to be held since 1939 due to the outbreak of World War Two. In which year was this photograph taken? My mum used to live on the new hill in Chadwell. Afew of the girls when they were in the carnival used to walk across the field, go up my mums gaeden path to use her loo. The lady on left of picture arranging the Queen’s hair is Mrs Betty Winstone ( formerly Miss Gray ) who was the 1939 Carnival Queen.